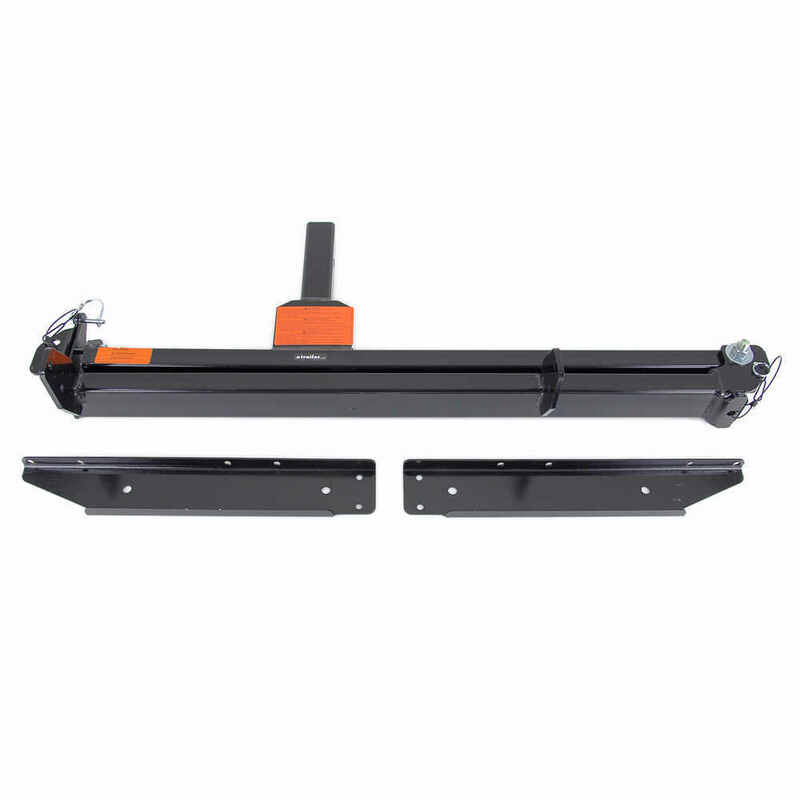 Replaces the swinging arm assembly for Rola enclosed cargo carrier (59109). Fits 2" x 2" trailer hitches. 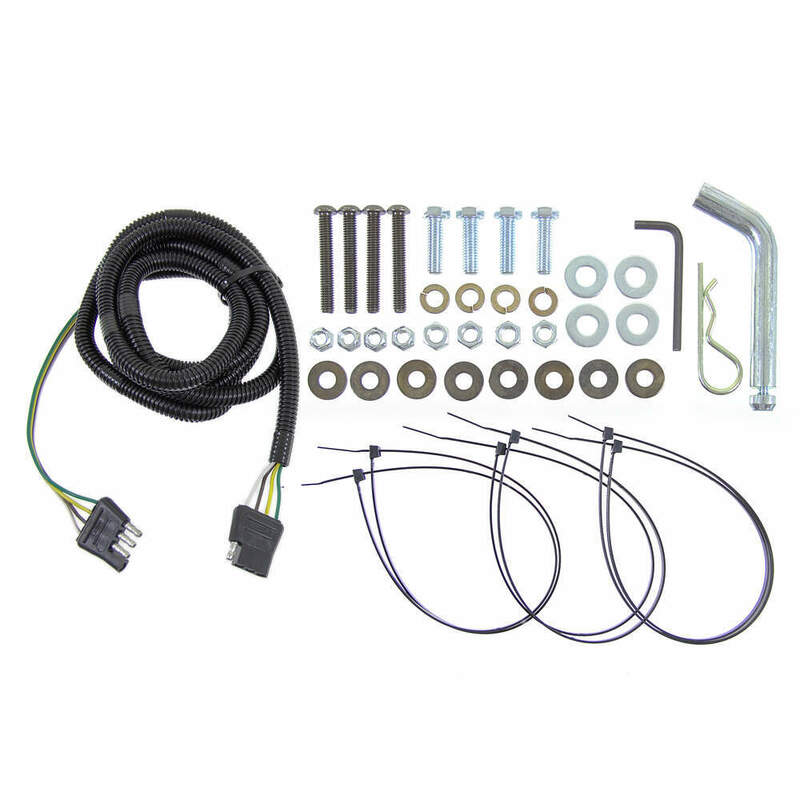 Call 800-298-8924 to order Rola accessories and parts part number 10421 or order online at etrailer.com. Free expert support on all Rola products. 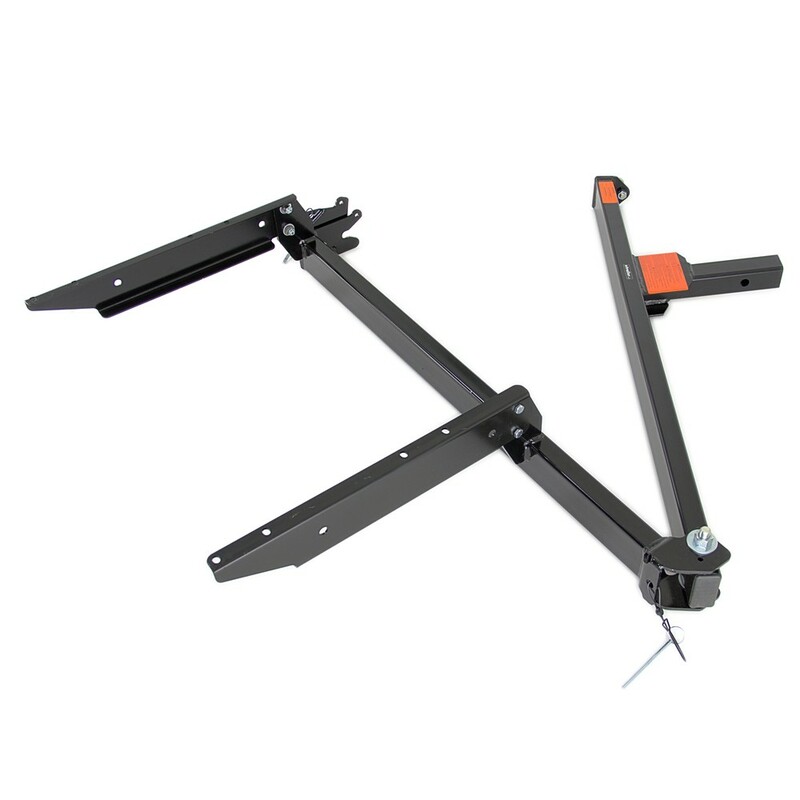 Guaranteed Lowest Price and Fastest Shipping for Rola Cargo Carrier Swinging Arm Assembly. Accessories and Parts reviews from real customers. 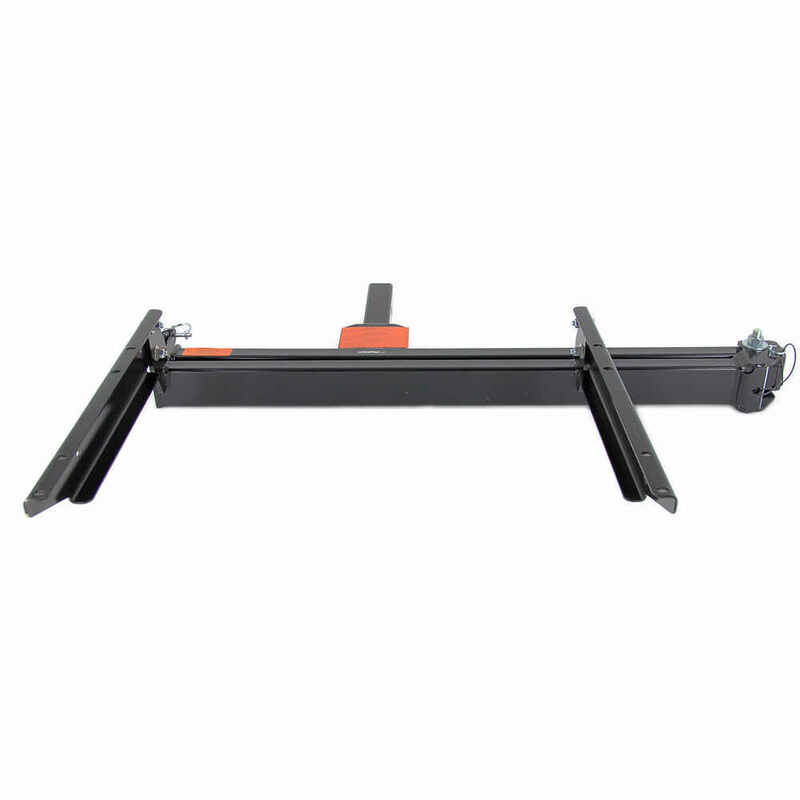 Replaces the swinging arm assembly for Rola enclosed cargo carrier (59109). Fits 2" x 2" trailer hitches. Length of the arms from outside to outside bar: 28-7/8"
Length of swinging bar from pin to outside bar: 42-1/16"
Length of shank to end of bar with pin: 28"
Length of tray brackets: 21-1/2"
Order: RelevanceNewestRating - High to LowRating - Low to High Replaces the swinging arm assembly for Rola enclosed cargo carrier (59109). Fits 2" x 2" trailer hitches. My project to use the swing-away hitch shelf came to a halt due to other circumstances. My friends and I have fabricated a shelf to which I plan to attach gas cans and bicycles. This all needs to get accomplished by mid-May. When we are done I will send you a picture and review. I will then hit the road to ID, UT, OR and that will be the real test! Yes, the Rola Cargo Carrier Swinging Arm Assembly, # 10421, can be swung out with weight on it. 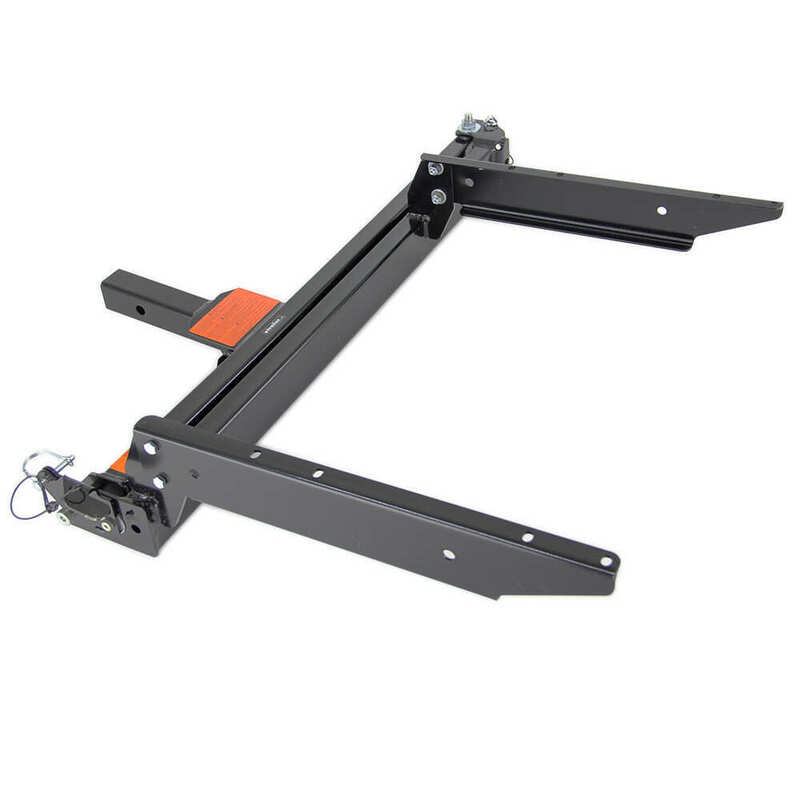 This assembly was designed as a replacement to the one that comes with the Rola enclosed cargo carrier # 59109, The capacity is 250 pounds or the tongue weight capacity of the hitch, whichever is lower. The MaxxTow 30x50 Wheelchair Carrier w/ 48" Long Ramp - 2" Hitches - Folding - Steel - 500 lbs # MT70106 is not available with a swing away. 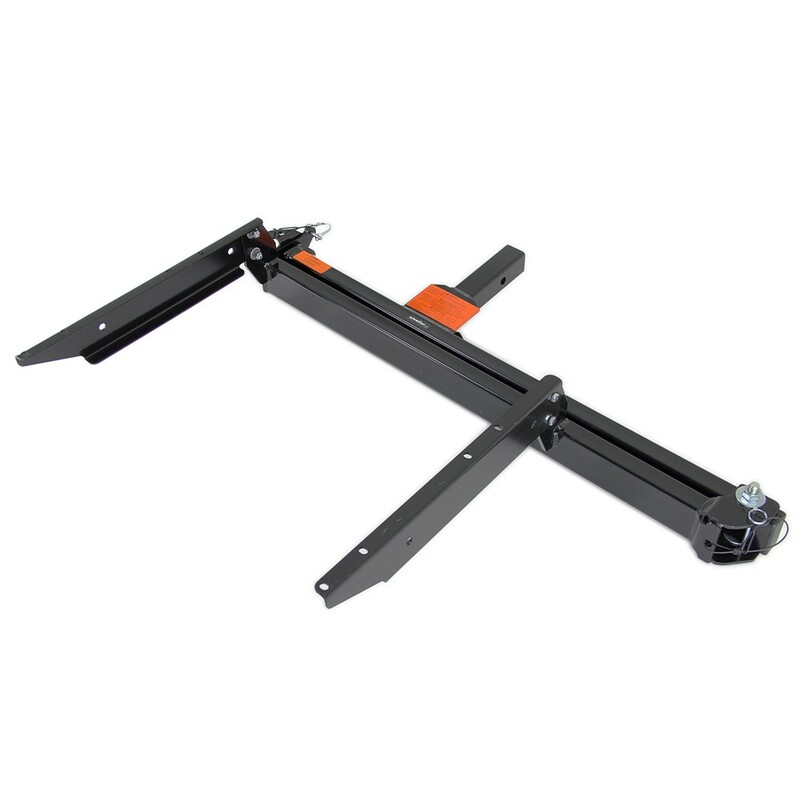 You may want to consider the Rola Cargo Carrier Swinging Arm Assembly # 10421 to fabricate something. You may also want to consider using locking hitch pin like # RH5-XL. The Rola Swinging Enclosed Cargo Carrier # 59109 does not swing out a full 180 degrees. It goes just a little bit past 90 degrees. Check out the review video I attached for this product to see it's range. Fast forward to the 1:40 mark to see it swing out it's full range. The Rola Cargo Carrier Swinging Arm Assembly # 10421 swings to the right like most hitch accesorries do. The reason for this is that if you were ever on the side of the road and had to swing the carrier out you'd be able to swing it out to the shoulder side of the road instead of the in to traffic. It only swings to the right. And the reason for that is that if you were pulled over on the side of the highway the shoulder would be on the right. So if you needed to get to the rear hatch of your vehicle you wouldn't be forced to swing the hinge out into traffic. The Rola Cargo Carrier Swinging Arm Assembly # 10421 that you referenced is only designed as a replacement assembly for the swinging carrier part # 59109. If you have a the tilting version of this carrier part # 59110 that does not swing away this product would not work for you. Does Rola Cargo Carrier Swinging Arm Assembly Have Spare Parts? The Rola Cargo Carrier Swinging Arm Assembly # 10421 you referenced is actually a spare part itself, so it cannot be bought in replacement parts. It is the replacement swinging arm assembly for the Rola Adventure cargo carrier. Apart from replacing the swing arm assembly with a new one, # 10421, you could remove the rust from your existing swing arm and then prime and paint it. 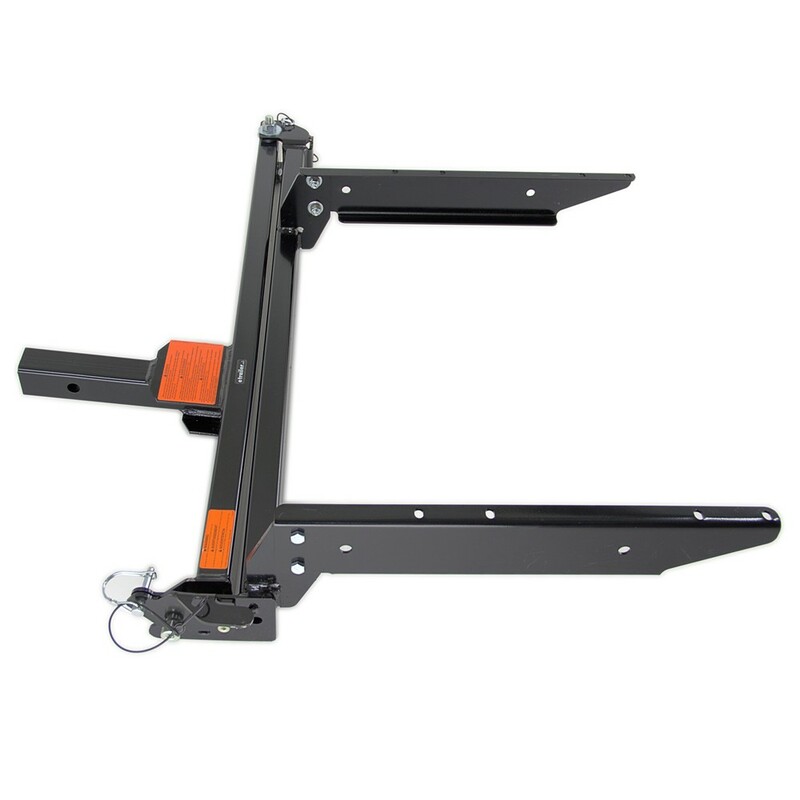 The Rola swinging trailer hitch mount cargo carrier # 59109 has a 5 year limited warranty. If it has been more than 5 years then it would be out of warranty. 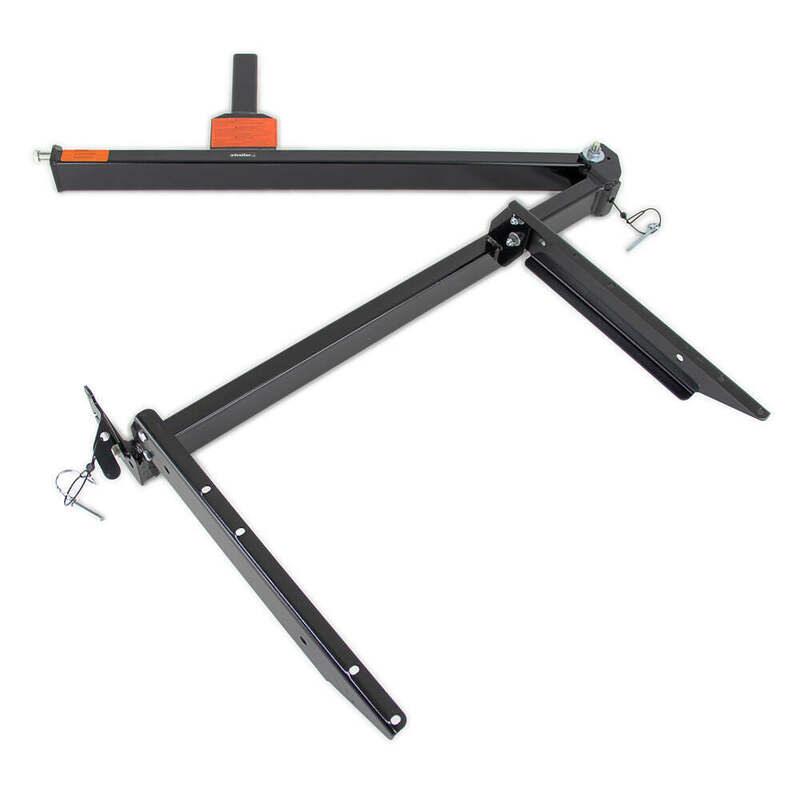 The Rola Cargo Carrier Swinging Arm Assembly, part # 10421 comes in at about 50 pounds on its own. Are there any part numbers on the Rola box anywhere? Actually, it should not matter which mount you go with. The swinging mount, # 10421, and the tilting one, # 10186, both attach to the tray part of the Rola enclosed carriers in the same place. The weight of the Swinging Arm Assembly part # 10421 is around 50 lbs and the weight of the Replacement Pod for Rola Enclosed Cargo Carriers part # 10188 is around 55 lbs. These are both included with the Rola Swinging Enclosed Cargo Carrier part # 59109. 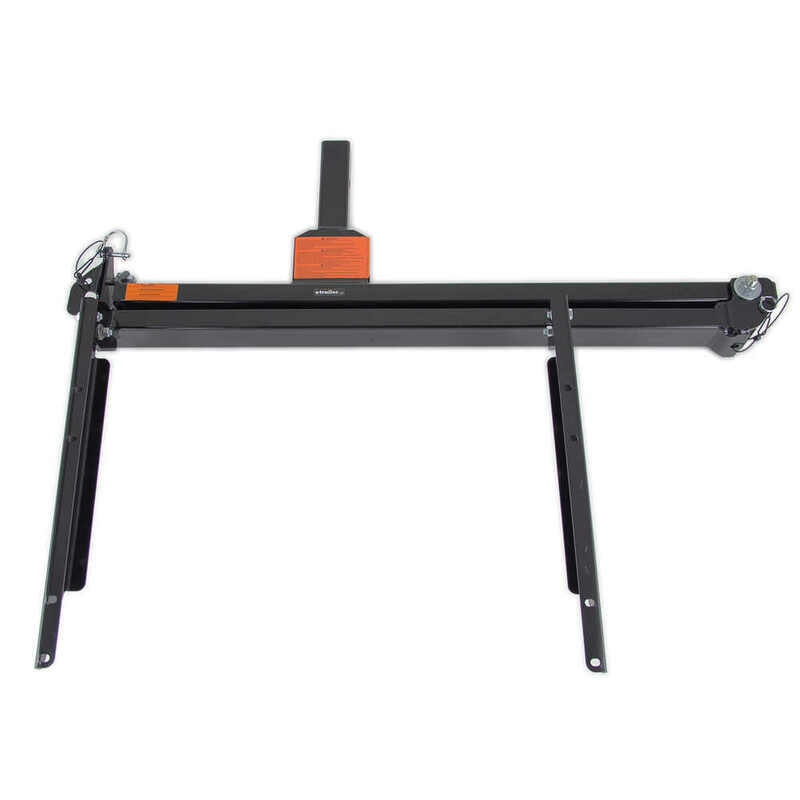 Yes, replacement swing arm # 10421 is a direct replacement for the one that comes with the Rola enclosed cargo carrier # 59109. I have included a video of the Rola carrier for you to view. 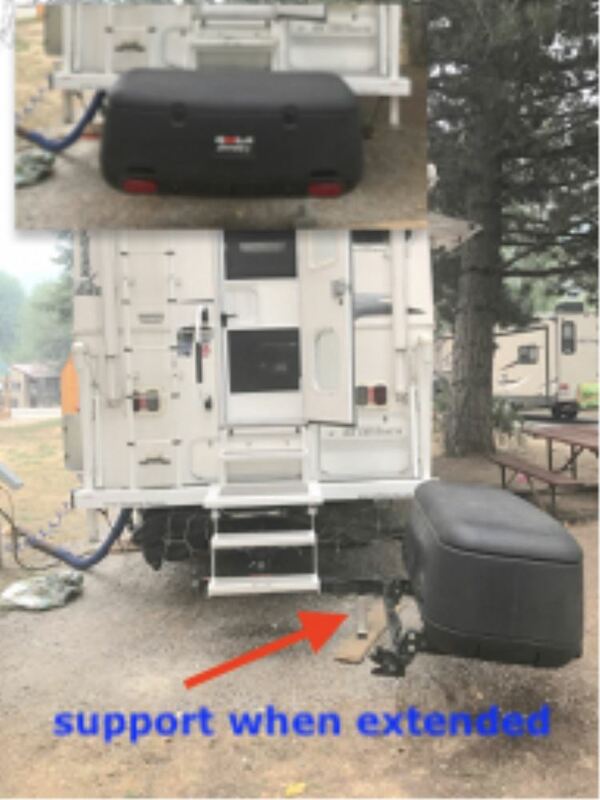 I have looked into this before and determined that the mounting brackets for the box of the cargo carrier that tilts are totally different than the brackets of the swing away carrier so what you are trying to do is unfortunately not possible. Your only option would be to go with the # 59109 and maybe try selling the # 59110 that you have. We have carriers that can slide out for access to the rear cargo door of the vehicle like the GearDeck 17 Enclosed Cargo Carrier # H00604 but we don't have any that can have cargo added to the top of the carrier. I think that is a really great idea though. Another option you might consider is a small enclosed trailer which will allow you more space for your larger items.